Warm up your voice for those USA chants and grab your apple pie -- it's the Fourth of July! And when it comes to D.C., Independence Day is a hive of patriotic parties with the most American backdrop of all. A day spent on the National Mall is pretty much synonymous with American pride. Head downtown early to stake your spot for performances by the John Williams and the National Symphony Orchestra and top musical guests such as Frankie Valli and Jordin Sparks. 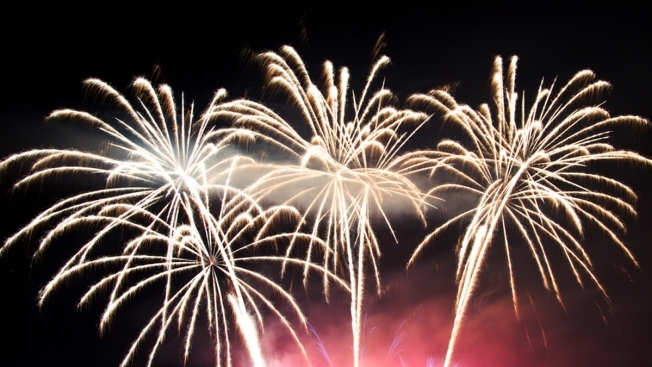 Then be dazzled by the display of fireworks launched from the Lincoln Memorial Reflecting Pool. Visit George Washington's Mount Vernon Estate and Gardens on Independence Day for daytime fireworks -- and a moving naturalization ceremony for new Americans. You'll also see military reenactments, free birthday cake to celebrate the nation's founding, and a visit from people who look a lot like George and Martha Washington. Events start at 8 a.m. and go until 5 p.m. If you still have some energy left after the fireworks, head to The Hamilton (600 14th St. NW) for their Post Fireworks 4th of July show, featuring the 19th Street Band and a dance floor. Enjoy fine food and drinks, along with the upbeat, wry folk stylings of the 19th Street Band. Doors open at 8:30 p.m. and the show starts at 9 p.m., but should continue long after the fireworks are over. Tickets cost $10. Celebrate the birth of our country and join your neighbors in NoMa for the Fourth of July Bash at the Loree Grand Field (intersection of Second and L Streets, NE). Look for family-friendly activities like face painting and moon bounces. Of course, you'll also find plenty of food. The event is free and runs from 4 to 7 p.m.
How can you celebrate America without a day of hot dogs, peanuts and the nation's most adored sport? Oh wait, you can't. The Nationals are at home this weekend against the Chicago Cubs, with what adds up to a field filled with red, white and blue colored uniforms. Make July 4 weekend the perfect catch, with games Saturday at 4:05 p.m. or Sunday at 1:35 p.m. Tickets start at $10. This weekend is a time to cheers to the many gems in the U.S. -- one of those being American-made craft beer. It's a recipe as beloved and American as your grandma's apple pie. So, spend Independence Day eve celebrating not only America's birthday, but the 185th anniversary of Yuengling. Enjoy the patriotic pleasures at Penn Social (801 E St. NW) starting at 7 p.m.
Venture to a number of local watering holes in Dupont Circle on the Fourth for an all-American pub crawl. Enjoy $1 American drafts, $2 bottles and $3 well drinks. Registration is at the Front Page (1333 New Hampshire Ave. NW) from 3 p.m. to midnight. Tickets start at $7. Salute America's first Commander in Chief with a dazzling display of daytime fireworks! Visitors can watch a patriotic display of smoke fireworks over the Potomac River followed by an inspiring naturalization ceremony for 100 new citizens. Be sure to stick around for military reenactments, a wreath-laying ceremony, free "birthday" cake and a visit from the first "first couple" General and Mrs. Washington. The celebration begins at 8 a.m. and concludes at 5 p.m. (just in time to catch some evening fireworks!). Call ahead for dining reservations (703-780-0011). Th event is included in Mt. Vernon's general admission fee. Head downtown early(ish) on the Fourth for America's National Independence Day Parade. The parade begins at 11:45 a.m. on Constitution Avenue -- but arriving early is crucial if you want a good spot. The parade features bands, fife and drums corps, floats, military and specialty units, giant balloons, equestrian, drill teams, VIPs, national dignitaries and celebrity participants. Enjoy a family-friendly tour of D.C.'s Tudor Place mansion to learn a little more about some famous Washington artifacts. Following the tour, enjoy ice cream sundaes, children's games and crafts. The event is free to military families; tickets are $5 for members and $10 for non-members.